If your employer is shutting down their business, or is insolvent, then the likelihood is that they won’t have to, or be able to, follow the selection criteria normally used for redundancy. 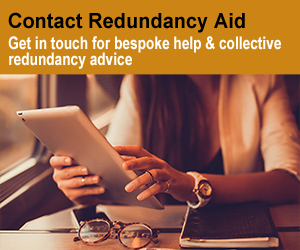 There are different scenarios when companies stop trading, a company can choose to shut down in an orderly fashion seeking to avoid any debts; in that instance all the normal contractual rights on redundancy pay would still be applicable & the company should pay you these. The alternative is where an administrator is brought in and the company seeks the protection of the courts from its creditors, this means that they may also not follow all the rules and contractual conditions of your employment, as the Insolvency rules & Employment law aren’t trying to achieve the same thing. You may be asked to keep working; the administrator should guarantee payment for this period of employment, but will often treat previously owed pay as falling outside their control. This won’t affect any future redundancy claim. If the business is sold your employment rights are protected by TUPE. If your contractual situation isn’t being honoured or you are dismissed instantly by the administrators then there are still certain things you are entitled to, whatever the administrator tells you. Read on to find out more about details of redundancy pay, notice pay & the role of the RPO. We can, read the sections covering all the statutory protection you have as an employee for any outstanding wages, notice pay and redundancy pay, if these are not paid by the administrators during the redundancy process you can claim via the government Redundancy Payment Office (RPO) up to the statutory maximum. 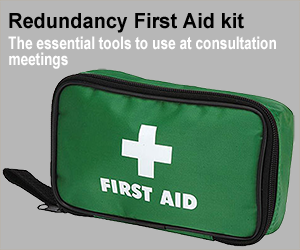 You must ensure you follow our process laid out in the Insolvency and Redundancy First Aid Kit; you should use this to ensure that you give the right detail to the administrator and contact the right government agencies to ensure you get what you’re entitled to. In many companies wages, holiday pay and any other benefits are paid in arrears, this means that if you’re dismissed as redundant in sudden circumstances you may be owed pay and benefits. If this happens and the company has gone into administration, it is possible that the administrator won’t honour any outstanding payments for wages, holiday, maternity or paternity pay. Any claim for money owed by your employer should be submitted to the administrator via a proof of debt form, this is because up to 8 weeks wages is classed as preferential debt & may get paid by any assets remaining from the company if it’s liquidated. The RPO will pay up to 8 weeks wages (including, bonuses, overtime and a protective award) and 6 weeks holiday pay if you can’t get this from your employer; proof of earnings & outstanding pay will be required and it is capped at the statutory maximum weekly amount, currently £489 in the UK. Redundancy pay; have you been paid what you’re owed?